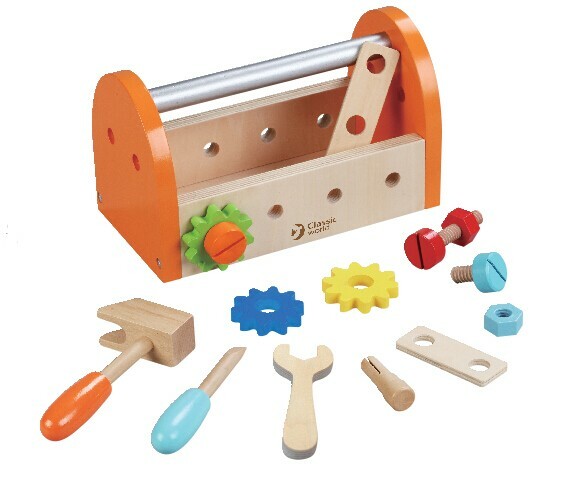 This small carpenter set is a great way to teach your kids as being a little carpenter and perfect gift idea for your little builder. The small carpenter set promotes endless imaginative play for children as being a little carpenter with all of wooden workshop tools set. This beautiful set of quality made wooden tools and comes with handy wooden toolbox to store all the tools set. Includes hammers, wrench, pliers, screwdriver and other tools that kids need. Develops fine motor skills, concentration and problem solving skills. Encourages imaginative and role play, identify and how to use the tools. Suitable for aged 3+ years.